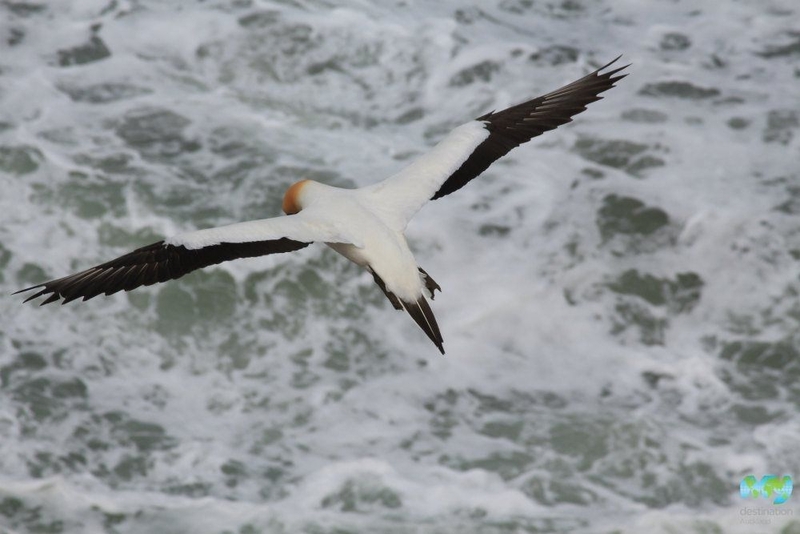 December is the time when new chicks strive for food and the parents dive into the sea at up to 145 km per hour so they can feed their young family. 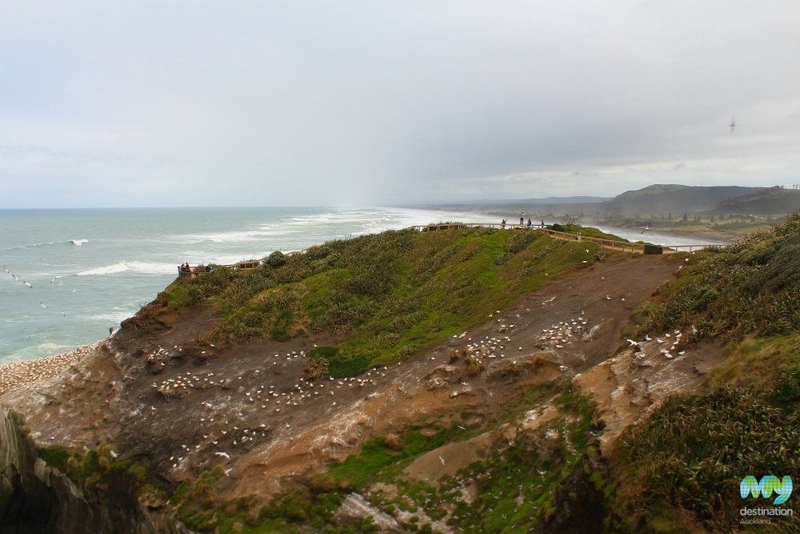 Muriwai Gannet Colony is situated in Muriwai Regional Park, a 40 minute drive west of downtown Auckland. 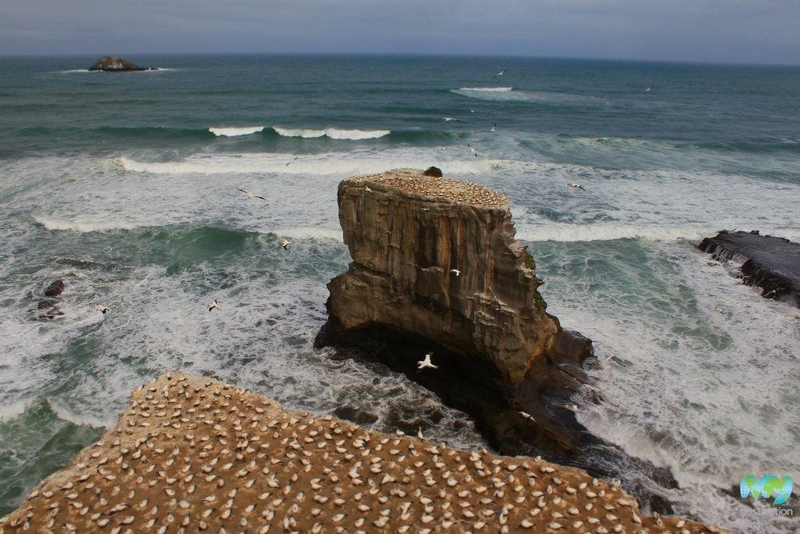 Although Muriwai Regional Park is home to many species of birds, it's the Gannet Colony that attracts the most visitors. 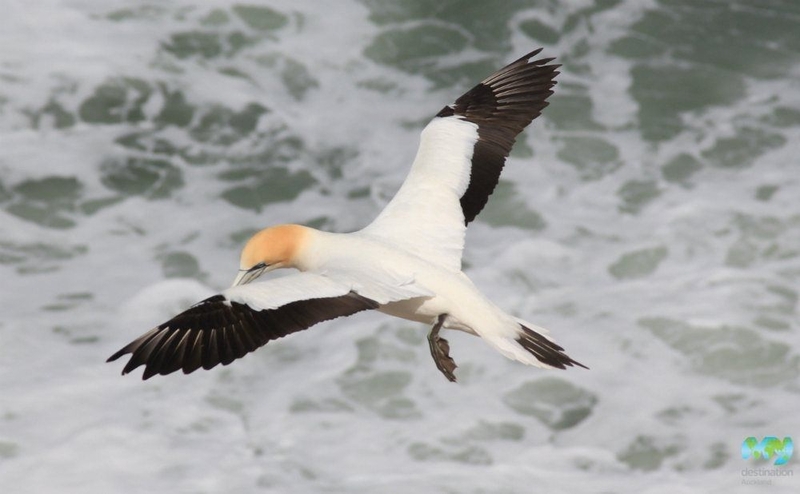 Two viewing platforms provide excellent vantage points to observe the gannets in a spectacular coastal location. 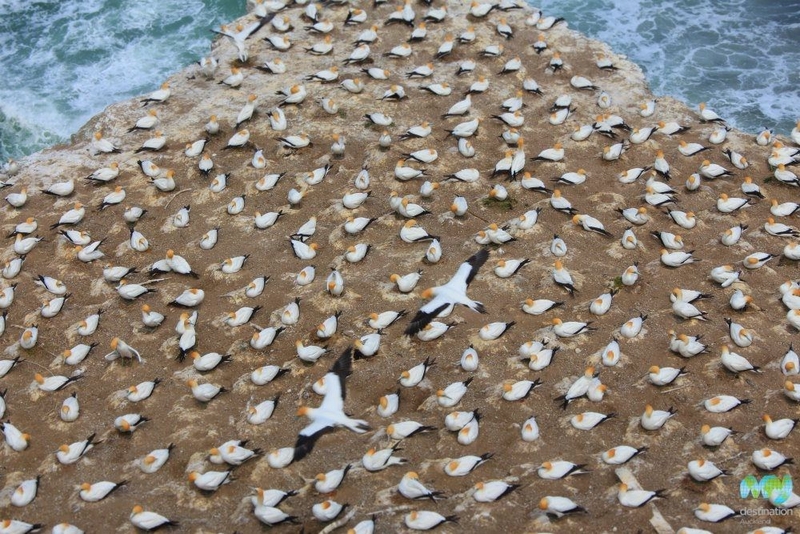 The birds return from Australia each year during the months of July and October to establish contact again with their lifelong mates. 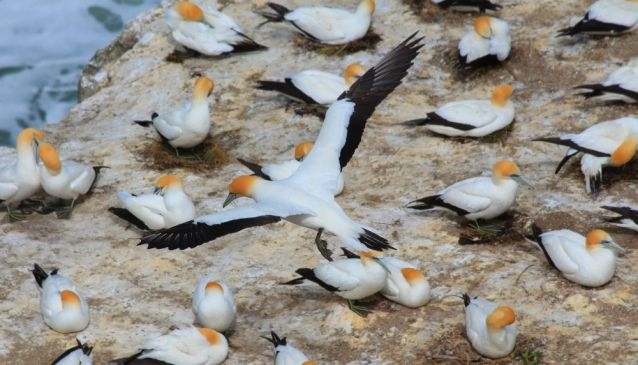 December is the time when new chicks strive for food and the parents dive into the sea at up to 145 km per hour so they can feed their young family. 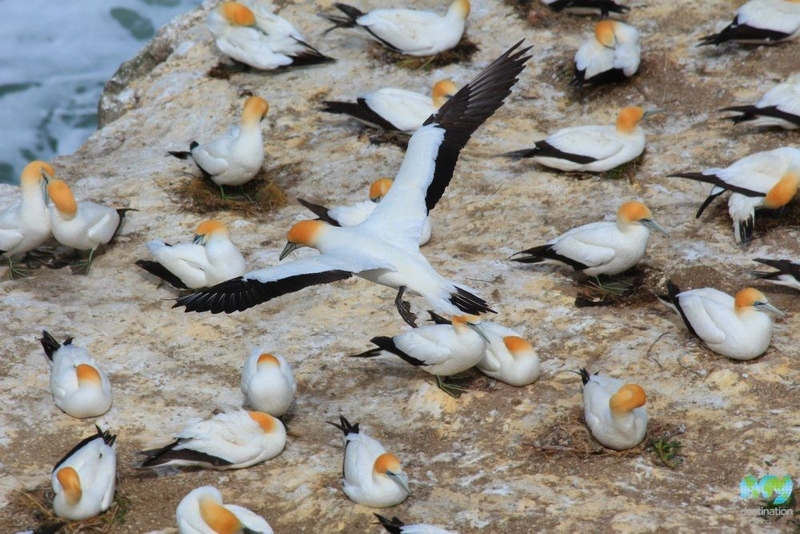 The colony tends to be deserted during May through to June (Late Autumn to Early Winter). 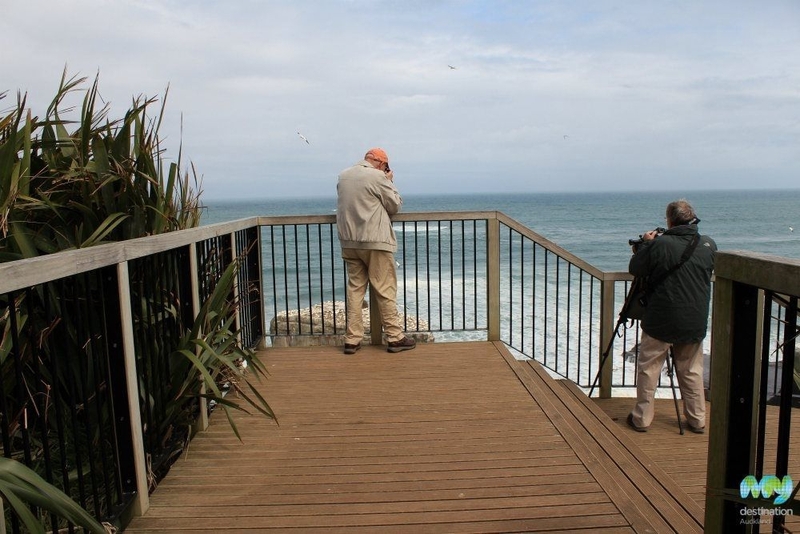 From the Maukatia Car park, visitors can follow a short pathway that leads to the two viewing platforms which also offer great views of the rugged coastline and Muriwai Beach. 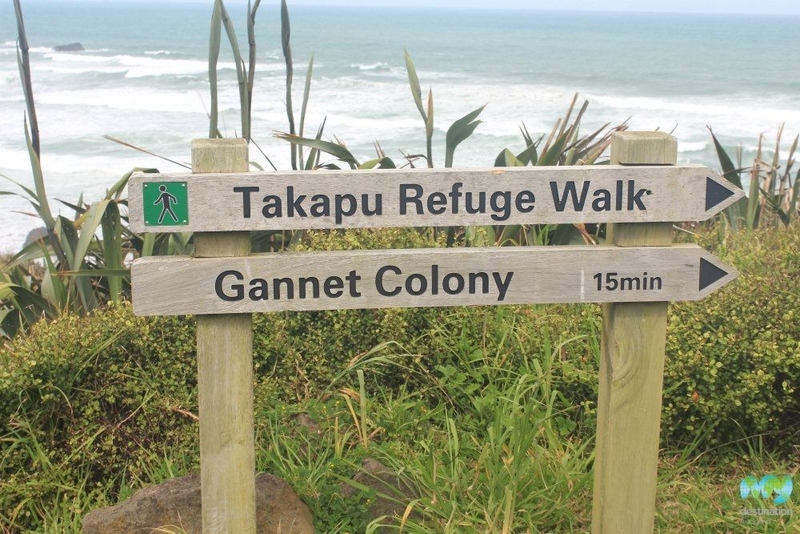 The path also leads directly down onto the beach. 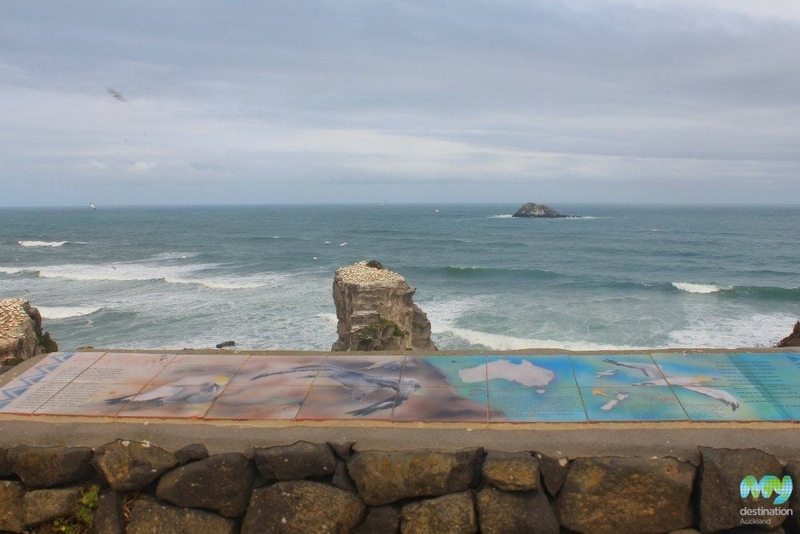 Before reaching the colony there is the Sand Dunz Cafe which is a good stop for coffee and lunch.